Golden Grass place mats. Used for placing any object on it. 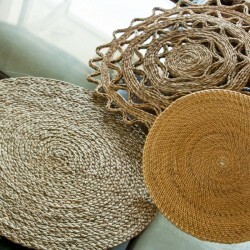 Very light also can be used as dinn..
Made of sabai grass in different colors, Can be used as place mats or hot plates. Sabai Gr.. Beautifully woven with Date Palm Leaves. Used for placing any object on it. 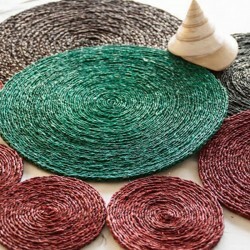 Very light also can..
Made of sabai grass in different colors, Can be used as place mats or hot plates.Sabai Grass, is han..